Prickly pear cactus maiden. 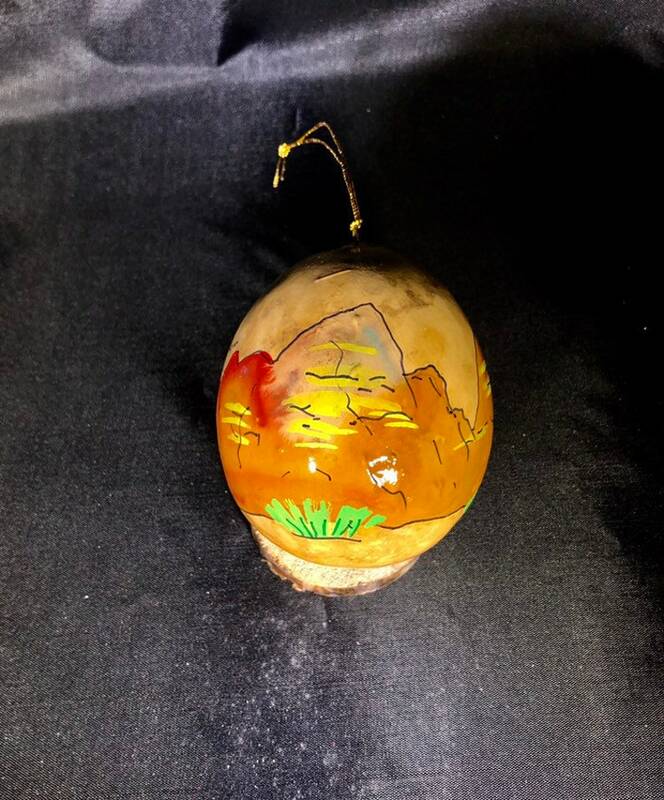 Hand-Painted Gourd Christmas Ornament by artist Sandy Short www.handpaintedgourds.com. Original artwork.